One of the first ways to spend too much on a copier is to not know what you’re buying. Many people just buy what looks impressive, get something with too many features, and pay too much. 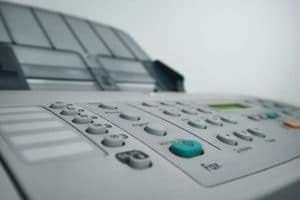 One of the biggest determinants of price is whether or not your copier is an A3 copier. At Spokane Copier we believe in making copier leases easy, so we are here to explain what an A3 copier is to help you on your copier leasing journey. An A3 copier is a copier that can handle tabloid prints. Tabloid prints are twice the size of normal prints and allow you to create bigger, bolder projects. Some people end up buying an A3 copier for their office just because it looks powerful. While it does look that way because it is in fact more powerful, it is not always the right option for every office. A3 copiers let you do more, but at a price. Industry experts suggest that you could end up spending an additional 40% on a tabloid copier against a cheaper alternative. The cost is so much higher because the machine is so much more powerful. It takes more to operate it, and there are more moving parts inside that could need maintenance. They also offer the greatest selection of color and media choices to tackle about any job you could imagine. A3 copiers are the perfect solution for a business that works heavily with big, boldly colored prints that needs a powerful machine that can handle any job. They are not for everyone, but they do offer the best solution to a variety of specific needs. If you want to get your business set up with an A3 copier then give us a call today. At Spokane Copier we offer the best deals on leases and will help you find exactly what you’re looking for.